You want leads now. But not just any leads. Everyone doing business today faces a common dilemma. In this era of constant content overwhelm, how do you open natural conversations with your target customer, develop ongoing relationships and, most importantly, be top of mind when that person is ready to buy? PowerConnector is the answer. PowerConnector has helped over 3,000 businesses. Since 2015, the proven PowerConnector system has already helped over 3,000 businesses large and small to connect with fresh prospects and rapidly uncover new opportunities. PowerConnector B2B lead generation takes advantage of the rich LinkedIn database to help you establish warm connections with exclusive, untapped leads fast. 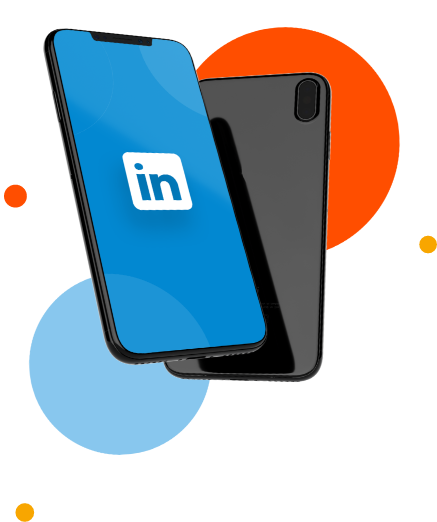 As an independent certified LinkedIn Marketing Agency/Partner, PowerConnector software has been exclusively developed to work with the LinkedIn platform. Since its inception, LinkedIn has risen to the top as the global standard for professional connections. Nearly every decision-maker you'd want to reach is there, from any industry in the world. In fact, at least 40% of LinkedIn subscribers use the site daily - and that probably includes you, too. Our proprietary software is optimized to take advantage of the hidden stores of data and connections to produce specific results for each of our clients. Schedule an appointment to learn more about PowerConnector.